Caption slip reads: "Photographer: Olmo. Date: 1954-06-20. Reporter: Ostler. 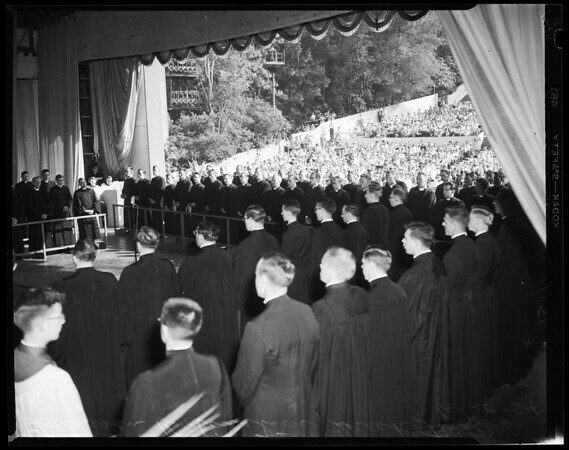 Assignment: Lutheran Ordination at Greek Theater, Griffith Park. 29-36: Gen views of Ordinands in prayer prior to receiving stoles, with their sponsors behind them and at the time the sponsors present them with stoles".